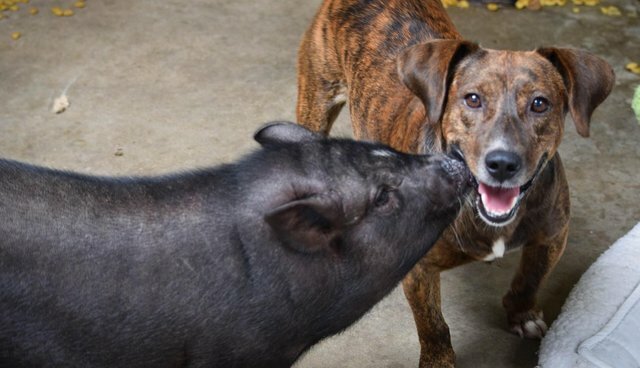 An adorable friendship between a dog named Jack and his friend Tuna the pig will now be one that lasts a lifetime. Luck is always a factor for animals in shelters hoping to find a home, but when the interspecies BFFs were dropped at the Humane Society of North Texas last month by a former owner, they needed doubly good fortune. Seeing just how close Jack and Tuna were, rescuers knew they shouldn't be forced apart. "From the moment they arrived, it was clear they shared a strong bond," the shelter wrote on Facebook. "In fact, Tuna (the pig) loves to give Jack kisses and baths!" 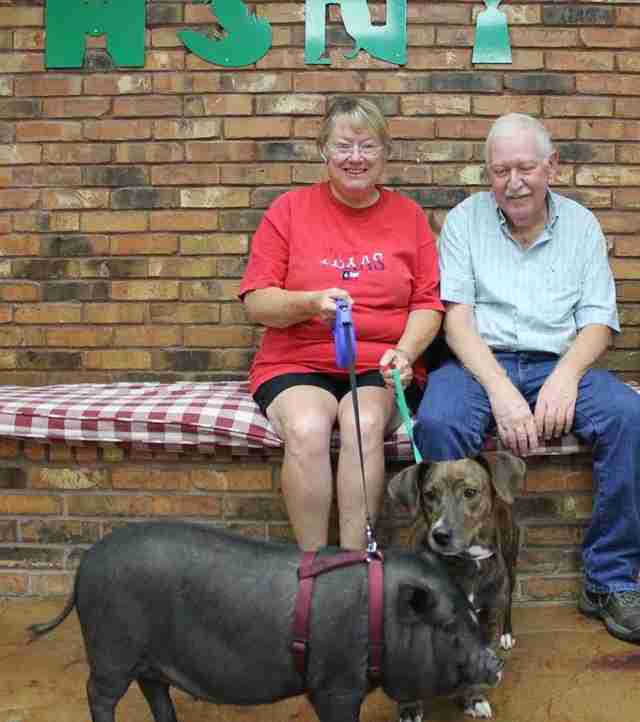 Finding a family willing to open their hearts to a needy animal isn't always easy, so the shelter knew finding folks willing to take on two sweet souls to preserve a friendship would be even more difficult. But thankfully, even the most unlikely stories have happy conclusions. This week, the Humane Society announced that Jack and Tuna had finally found a couple willing to love them as much as they love one another. "Tuna and Jack are now settling into their forever home with their new family!" the shelter wrote. And so, for a pig and dog who have come so far, one chapter of their journey has ended and another has begun - one which they can follow until the end ... together. To learn more about adopting a shelter pet, visit your local Humane Society.